Here's something I find hard to believe! Seán Flynn and Lorna Siggins of The Irish Times reported last week that Students who admitted plagiarism not asked to repeat course, college confirms. The College in question is Galway-Mayo Institute of Technology (GMIT). The Times reports that GMIT "acknowledged that students who admitted plagiarism were not asked to repeat a course", though three students did get a zero mark when found to have plagiarized in their assignments. Keep hammering home this message! The Times also reports "that alleged inter-county footballers at the institute were given preferential treatment", though I should point out that the College "vehemently denied these charges". There's no suggestion in the Times report as to what this "preferential treatment" is, but the insinuation is that GAA players were allowed to cheat and get away with it. I played GAA (badly) for the Trinity Seconds Football team between 1978 and 1980, but sad to report I got no "preferential treatment" for my efforts on the football field! The thing about all this is that students see and read these reports. If they see a top sports star they admire getting away with cheating, they may feel that it is OK for them to do it too. What message does it send out to the student body if a College turns a blind eye in even one case of cheating? There must be a zero tolerance of cheating - whether it is plagiarism in an assignment or copying from notes in an exam. The message must be clear - if you cheat you will get caught, and you will face punishments up to and including expulsion from the College. It doesn't matter how many goals you score. 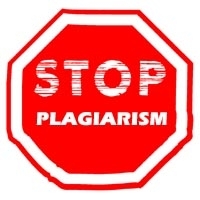 With software like Turnitin, it is certainly getting tougher to get away with plagiarism. I use Turnitin myself for student assignments and I must say that it is a wonder - it catches everything. Hopefully, recent high profile cases involving Karl-Theodor zu Guttenberg (former German minister) and Seif al-Islam Gaddafi (Colonel Gaddafi's son) will also help to put the pressure on cheaters, and help stamp out cheating.